EastEnders' Abi Branning to reunite with Jay Brown? EastEnders' Lorna Fitzgerald believes her character Abi Branning will rekindle her romance with Jay Brown in the near future because they are "soul mates." 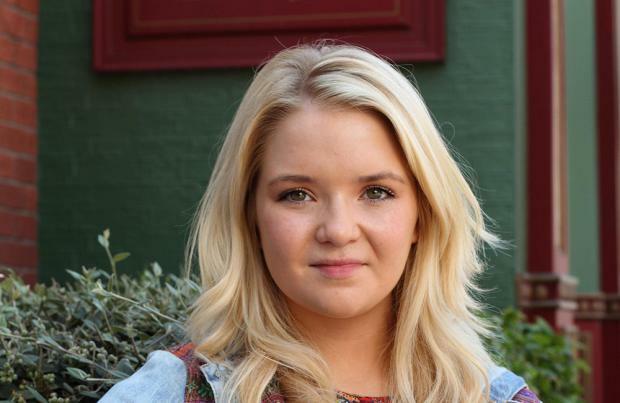 EastEnders' Lorna Fitzgerald has teased her character Abi Branning is set to rekindle her relationship with Jay Brown. The 20-year-old actress - who has played the aspiring vet since 2006 - has hinted that the former love birds, who split three years ago, will fall back into the arms of one another. Asked if she thinks the former couple will reunite within the next year, Lorna told the Express.co.uk: "I think they could. I think character wise they could definitely get back together. "I think specifically the character of Abi, she always sees her home in Jay ... I think they're soulmates." But it seems a reunion may be a little while off as Jay (Jamie Borthwick) is set to face serious consequences after he struck up a romance with schoolgirl Linzi Bragg, who he has since dumped after learning she's only 14, earlier this month. Although the puppy-eyed mechanic called time on his romance as soon as he discovered Linzi's real age, the pair had already locked lips and sent one other sexual messages, which may wreak havoc for his criminal record. A source said recently: "He realises the seriousness of his mistake. He is set to face severe consequences." However, it's thought the hunk's predicament could force him back towards Abi as she's also trying to mend her broken heart after Jay's adopted brother Ben Mitchell (Harry Reid) dumped her when he learnt she'd lied about her pregnancy.